How Do Students Benefit From Skills Labs? A growing and ageing world population means that the demand for skilled medical personnel is higher than ever. In the USA alone there are over 3 million registered nurses and almost a million doctors. The UK’s NHS is the country’s biggest employer. Every year, thousands of students embark on a new career in medicine, whether as a doctor, midwife or nurse. The traditional method for teaching students the skills they need includes lectures, book learning, observing someone else performing the procedure and then finally getting a chance to practice the procedure themselves. The main disadvantage to this is the imbalance between the number of students needing to be trained, or to brush up on their skills, and the number of patients happy to volunteer for practice. Also, in many cases students must learn to cope with some unusual scenarios which may not crop up often in a ward or hospital setting, without putting patients at risk. 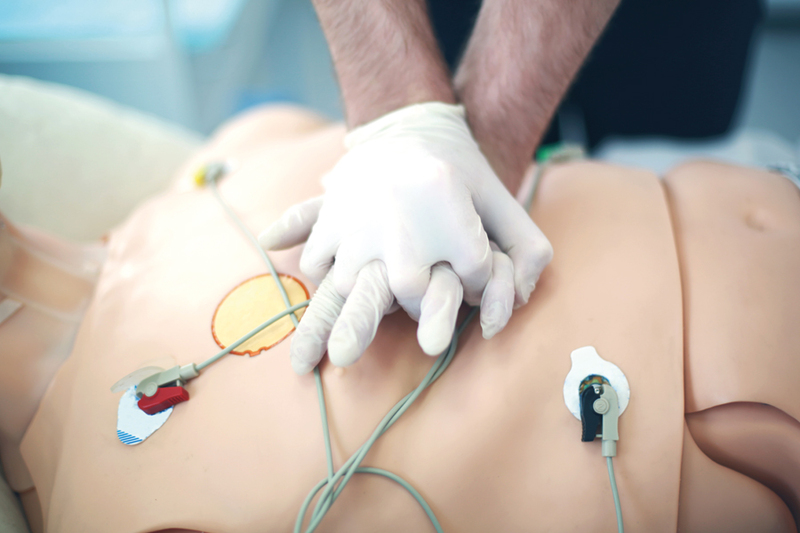 One of the best ways of doing this is by using a Skills Lab – a lifelike medical setting with state of the art simulator equipment which allows students to put their knowledge into practice as many times as they need to get it right. The benefits of using a Skills Lab for educators is clear but how do the students feel about it? In 2009, professors teaching on a nursing degree in Norway asked their students at all levels of their degree studies to respond to a questionnaire asking how they felt about using simulators in a Skills Lab and how they felt it had assisted their learning. Unsurprisingly, the main advantage which students reported from being trained in a Skills Lab was a feeling of security. The knowledge that a mistake made was not going to cause pain or damage to a real person put the students at their ease. They were also able to develop their team working with other students taking on separate roles in the simulated scenario. Repeated use of the Skills Labs increased student confidence, putting them more at ease when faced with a real patient. Students felt happier to make mistakes and fail at procedures when they knew that no real person was going to be damaged by their actions. Also important was an effective trainer and mentor, not only in setting up the simulations faced by the students but also when feeding back on performance and in challenging decisions and actions taken during the simulation. 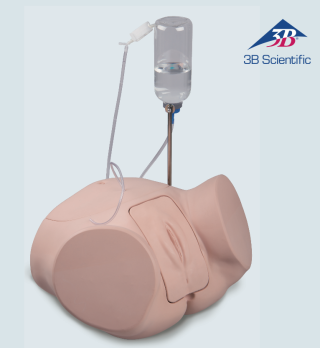 One of the most useful simulators which we produce at 3B Scientific is the SONOtrain unit, which can be used by students in a wide variety of ways. Depending on which SONOtrain model is used, students can experience detecting cysts and tumours in breasts, gall stones or different foreign bodies in tissue. Depending on the stage of the students’ training, teachers may tell them what they are looking for in the simulator, or say nothing and let the students make the diagnosis. These simulators are incredibly lifelike, with the feel of real tissue which can be palpated and looks realistic on an ultrasound scan. Often, procedures which are considered invasive or make patients feel embarrassed are best practised on a simulator and, for this reason, a catheterization simulator such as the one we produce at 3B Scientific is hugely popular. Students can practice both male and female catheterization in a Skills Lab setting, making their mistakes, taking their time, repeating the procedure as many times as they want to in order to gain experience and confidence. Patients are unlikely to be queuing up to volunteer for this sort of student learning experience but it’s an important skill which students must master. The main aim of using a Skills Lab is to give students confidence and experience, whether they are learning something completely new or brushing up on existing skills. Therefore it’s important to make a Skills Lab as realistic as possible, with the equipment, bed and furniture which would be found in any other room in the hospital. Our 3B Scientific simulators are designed to be as lifelike as possible and fit extremely well into this realistic environment to enhance student learning.